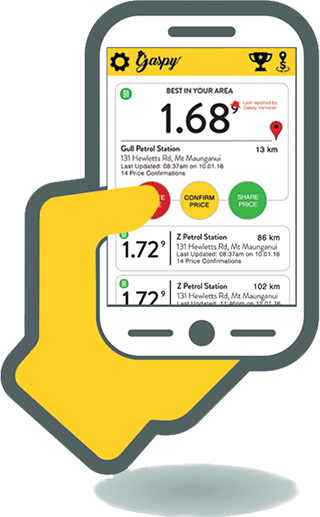 GASPY is New Zealand's original fuel finding app that tells you where the cheapest fuel is in your area. Save hundreds of dollars a year by joining our community of like minded Kiwi's and help us locate and share the best petrol & diesel prices in the country. Cheaper Gas Together! DOWNLOAD TODAYAnd join the carmunity!